A-MARC is a dynamic event management company brimming with energy and inspiration, which provides integrated events solution to its clients across India and around the world. We at A-MARC ENTERTAINMENT by combining hospitality, entertainment and communication have created a dedicated and successful team of professionals with a backing of tremendous personal experience in the field of Entertainment. 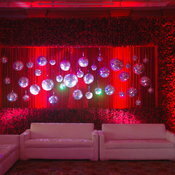 We put your thoughts into reality by tailor made events as per customer requirements. We have perfected the art of entertainment through sheer hard work and quality performance. We are a great team of dedicated, successful and highly experienced professionals, who strategize, design and execute unique event ideas as per your brief and budget, ensuring to leave lasting memories for all the right reasons. 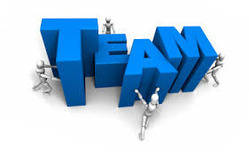 With an experience of more than a decade, team A-Marc has been recognized forproducing sophisticated, innovative and memorable events across the globe. A-Marc is a dynamic event management agency brimming with energy and inspiration, which provides integrated event solutions to clients across India and around the world. With the experience of more than a decade, team A-Marc has been recognized for producing sophisticated, innovative and memorable events for Bollywood, world's leading corporate brands, sports, weddings and private functions across the globe.